Root Capital is one of the most celebrated doing well and doing good businesses at the forefront of the “impact investing” movement. Root Capital charters Content Evolution to discover and develop a course forward for donors. A constituency map is built with a set of key motivations that will help foster even stronger ties with major investment bankers and leading philanthropic organizations such as the Ford Foundation, Kresge Foundation, Rockefeller Foundation, Bill and Melinda Gates Foundation, and more. 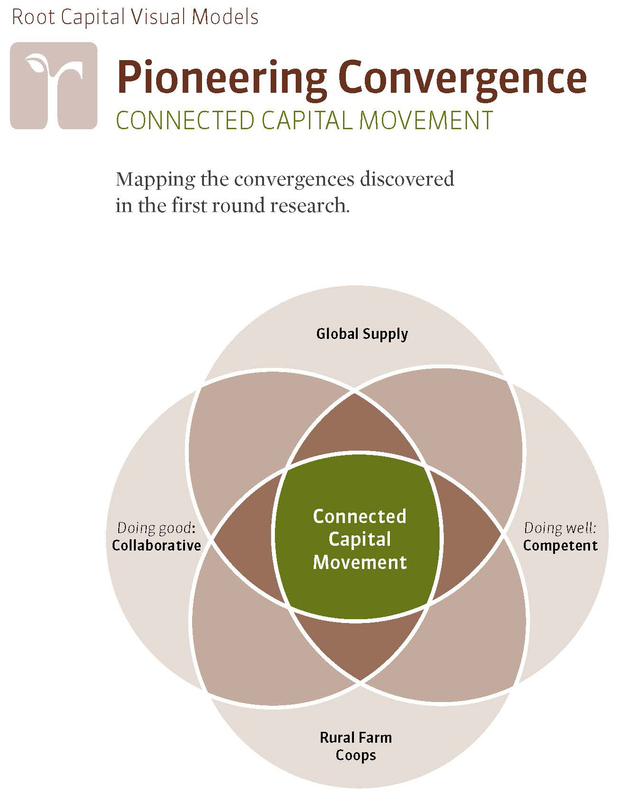 A unifying organizing principle is discovered called “Connected Capital” that more than accomplishes the goals of Root Capital and puts it on the road for ongoing fundraising and capital raise success for years to come. During this engagement Content Evolution also designs the first web-based performance dashboard for investors, borrowers and the general public.